At the start of 2016, myself and Prof. Marc Casals applied to the Brazil-US Exchange program funded by the Sociedade Brasileira de Física (SBF) and the American Physical Society (APS). Our proposal was accepted and I was awarded up to $3000 to travel to Rio to work with Marc for two weeks, within one year of the grant being awarded. We completed our two weeks of intensive research in the first two weeks of October 2016. Whilst I was there we worked on implementing new methods for computing analytic series solutions to the Teukolsky radial equation. This was my second trip to Rio to visit Marc. I always find the second time you visit a city to be very enjoyable; the first time you run around doing all the touristy stuff, but on the second trip you can relax into the city and experience a little more of what it would be like to live there. 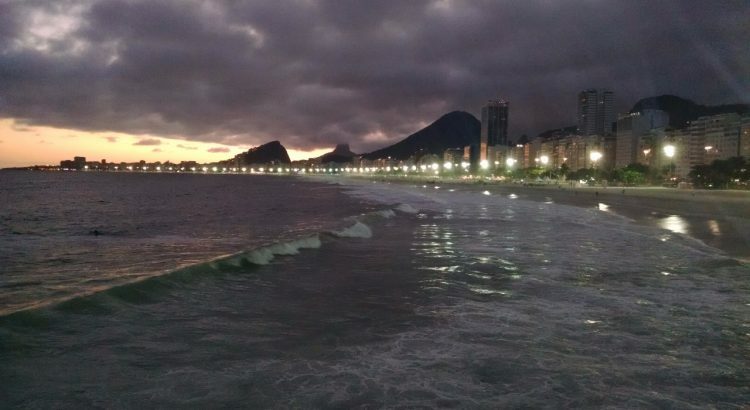 Rio is a really good looking city. Nestled between mountains and on the Atlantic coast it just looks good, particularly if you can get up anywhere high. The people I met at the institute – Centro Brasileiro de Pesquisas Físicas (CBPF) – and elsewhere were friendly and welcoming. It was a very pleasant place to spend two weeks working. If you are interested in apply for this program yourself more details can be found on the APS Brazil-U.S. Exchange Program webpage. They also have a program for collabration between the US and India in case that interests you (which it should as India is another awesome place to visit).